The Case for Student Loan Forgiveness #Infographic ~ Visualistan '+g+"
Student loans are dragging down the economy, and one recent study found that Americans with student loans are putting off buying houses for 7 years longer than previous generations did. Millennials are feeling the squeeze - they are making less money than people in the same age group did in 1980 and they are saddled with an average of $26k in student loan debt that can can’t afford and can’t bankrupt. Is it time to start talking about student loan forgiveness? There are many programs in the United States that allow for graduates who work in certain sectors to get part of their student loans forgiven. Unfortunately many of those programs are now in jeopardy with questions about where the funding will come from to support them. Currently student loan debt is second only to mortgage debt in America, creating an invisible drag on recovery from the Great Recession. 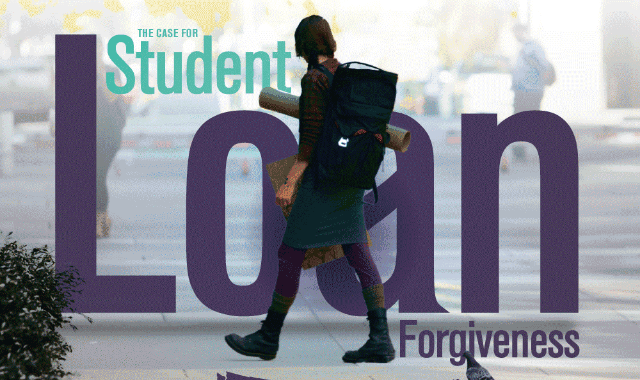 Learn more about the case for student loan forgiveness from this infographic!